TLC is all set to premiere the UK-based show ‘Curvy Bride Boutique’ from 16th July at 10 pm. 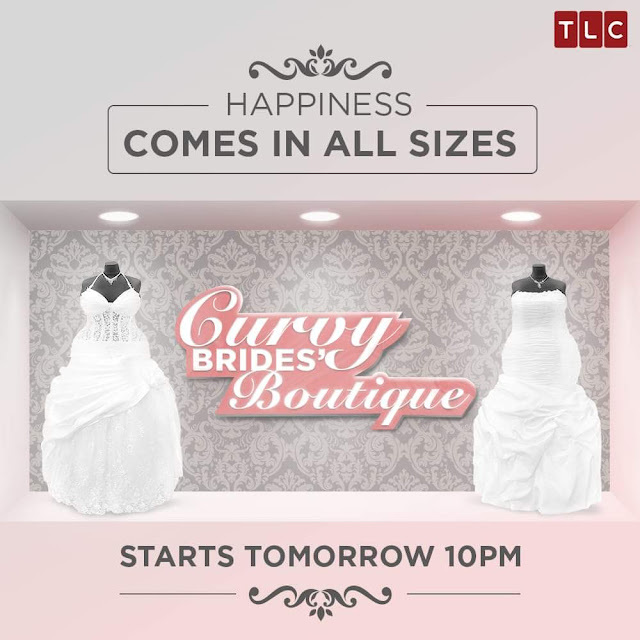 It follows Jo and Al, the brains behind Curves and Couture Bridal Boutique, and their beautiful brides’ journeys to finding the perfect dress. Tucked away in rural Essex, the appointment-only Curvy Brides Boutique is a paradise for its clients. With rails full of wedding dresses from size 16 to 40 ready to try on, Jo and Alison are standing by to make sure brides feel amazing on the inside as well as look incredible on the outside. Inspired by difficult experiences of their own, the duo set out to become not just wedding dress experts, but fairy godmothers for brides-in-need. They know how stressful it can be for larger women – struggling with a lack of confidence or previously facing humiliating treatment in high street stores. Not to mention the critical scrutiny from friends and family and even their partner, as they make the long walk down the aisle. The Curvy Brides Boutique offers a wrap-around hug of a service, that sees Jo and Alison give advice and support every step of the way – from finding the dress they call “the one”, right up to walking down the aisle on cloud nine.